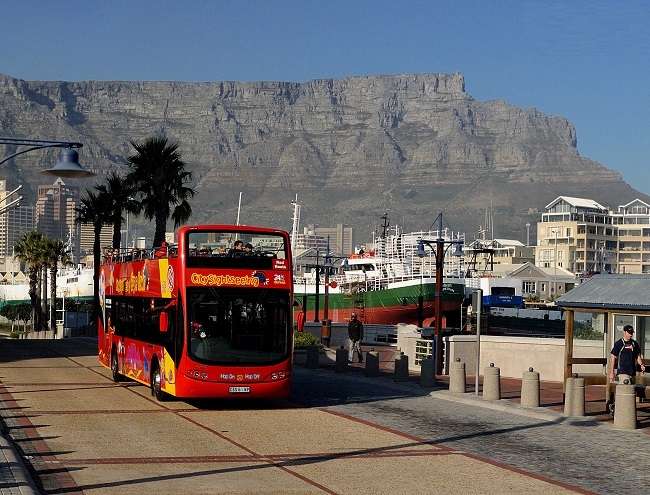 While there is much to be seen across the peninsula, city sightseeing in Cape Town offers the chance to explore some of the best-known landmarks, historical attractions and scenic wonders of South Africa’s Mother City. For many visitors, the hop on/hop off red city sightseeing bus is a great way to take in the sights. 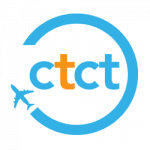 Taking a half day tour that is centered on attractions in the city is highly recommended for those wanting to discover what the city has to offer… and best of all, you can book such a tour right here on ComeToCapeTown.com! Keep reading to find out which sights should be on the top of your to-see list, and to learn more about our super awesome Cape Town City Tour that covers all of these amazing landmarks in one go. The bustling urban centre of Cape Town comprises a number of different zones. The CBD or City Centre is where a large number of corporate businesses have chosen to be based, but it is also where some of the oldest, most beautiful buildings can be found. The result is a blend of old and new – intricate architectural details set along side modern convenience. The Foreshore lies adjacent to the busy CBD, and is next door to the Waterfront. As the name implies, this area lies near the harbour. It is home to a number of media groups and is in easy reach of the Cape Town Station. Further towards the mountain, the City Bowl is found. This area takes its name from the protective shelter offered by Devils Peak (Vredehoek side) and Lion’s Head/Signal Hill (heading towards the Bo Kaap and Green Point side). Popular suburbs within the greater city area include Gardens (home to the iconic Company Gardens as well as the equally well-known Kloof Street area), Tamboerskloof (a peaceful suburb set close to the slopes of Signal Hill) and Vredehoek (residential area set on the slopes of Devils Peak). Many visitors who are not flocking to the sought-after areas of Camps Bay and Clifton prefer to be based in the City Bowl, as this area is close to the majority of attractions (and still 10 minutes’ drive from the beaches). True story – I have lived in the city my entire life (all thirty something years of it), and even I love to enjoy some Cape Town sightseeing… especially in the heart of the city. I have been to every single one of the sights below – most, any number of times. In fact, some of these sights I adore so much that I make a regular habit of out visiting. So, whether you are a local like me, or you are visiting Cape Town and want an insider’s insight into what to see, I highly recommend taking a tour to enjoy what the city has to offer. History buffs, architecture fans, garden lovers, cultural enthusiasts, kids, adults… even those who usually don’t particularly enjoy boring tours that seem to go on forever will all come away with plenty of memories, experiences and photos. 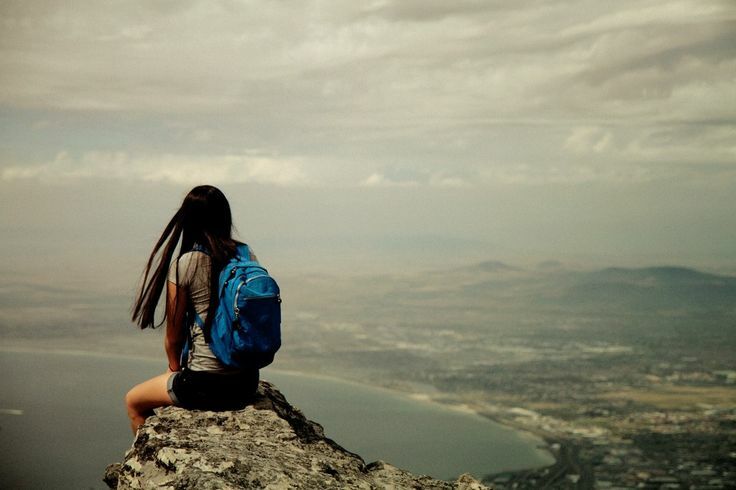 You will likely come away loving the city just a little more, too. Ever since I was a small child, I have had a huge love for the SA National Museum. My mom would take my sister and I often. To this day, I can easily find myself lost in the amazing exhibits. I try to visit at least once a year, which works out well as there are often new things to see. In February/March, the annual Wildlife Photographer of the Year Exhibit is held at the museum – a wonderful treat for anyone who appreciates the beauty of our natural heritage. The mammal hall continues to leave me feeling awed and talking in whispers, just as it did when I was a kid. The shark and fish section has some great interactive features, while the giant whale skeleton never fails to impress. Afterwards, you can take a stroll through the Company Gardens and check out some squirrels. There are a number of political type buildings around town, including the House of Parliament. This gracious old building is situated on Plein Street. Even though the country’s political capital is Pretoria, Cape Town is the legislative capital. Over the many years of leadership of past and current, this building has see history unfold. Another fascinating (and beautifully old and ornate) building is City Hall (pictured above), which lies on the aptly named City Street near the Grand Parade. Here, many free concerts and events are held over the year. 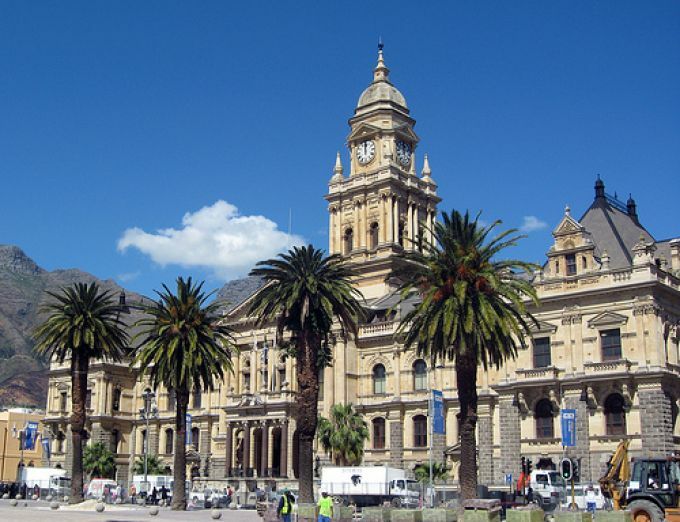 This building also houses the City of Cape Town local government. Back in the early days, the Castle of Good Hope acted as a sort of base for the colonists who arrived here. Many tunnels were built underground, which lead to various look-out points, including Signal Hill. As you might expect from such a fortress, the castle was made with security in mind. Today, it serves not only as a portal back to ancient times, but also as a venue to a number of events – including craft markets. It is situated just at the entrance of the CBD, surrounded by a green lawn and a moat. 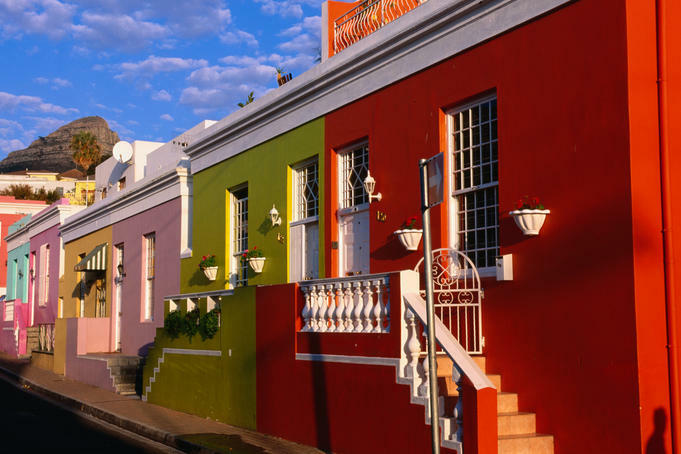 The Bo Kaap is a fascinating place indeed. It is famous for its brightly coloured houses and steep cobbled roads, but there is so much more to the area than its pretty face. This is one of the only areas that was not affected by forced removals during the apartheid era that tore countless families apart. As a result, the Cape Malay and Muslim communities who create the area have been able to keep their homes in the family over many generations. There are at least 7 mosques, an amazing spice market and some good traditional Malay restaurants found here, along with a dose of art galleries, self-catering cottages, curio shops and entrepreneurial workshops. An endless source of fascination both day and night, Long Street is perhaps even more rewarding during the day. After dark, the clubs and bars begin to fill up, and while this is a great spot to enjoy some nightlife, the day time offers a somewhat more peaceful and interesting perspective. 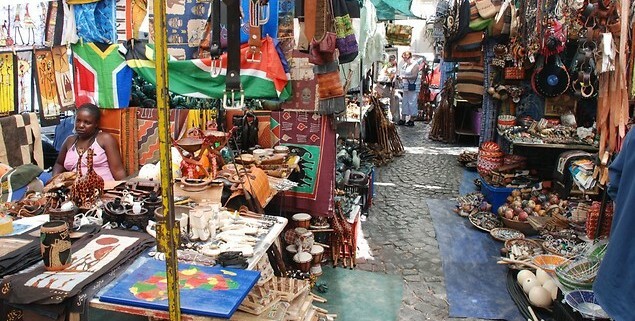 There are many, many great little shops found on both sides of this, well, long street. The lower part of the street is found closer to the Waterfront, while the upper side lies nearer to Gardens. In between, you will find anything and everything from vintage clothing shops to the magical African Market (and the just as cool African Music Store), high-end local designer stores, affordable fashion stores, old-fashioned watch repair shops, street vendors selling sunglasses, hot dogs and cigarettes, book stores and plenty of other gems. There are also many good lunch spots, coffee shops and side walk cafes as well. Another much-loved attraction since I was very small, Greenmarket Square is one of the oldest markets in the city. Today, there are a number of curio stalls, clothing stalls, antique and jewellery stalls and many other interesting stalls, along with a few that are a bit less interesting unless you are looking for generic goods that you could find anywhere. Mostly however, there are a lot of things worth looking at here. Around the cobbled square are lots of little sidewalk cafes – all of which are ideal for some people watching. The Noon Gun is a lovely bit of tradition that can give visitors unaware of the tradition something of a shock. Every single day, at the strike of noon, the canon situated on the top of Signal Hill goes off, with a huge boom. Depending on the wind that day, the sound can be mildly alarming or downright terrifying. The sound can be heard throughout the city, and in the Waterfront too. If you hear any sudden loud explosions and no one seems to be ducking for cover, you can reasonably assume that it is just about lunchtime. Signal Hill itself is another fascinating sight – the views from here are breath-taking, and it is a great spot to watch the sun go down over the city below. And that, my friends, concludes my virtual urban tour of the Mother City’s urban heart. Reading about it is one thing but experiencing it and learning more about each of these places is another thing altogether. 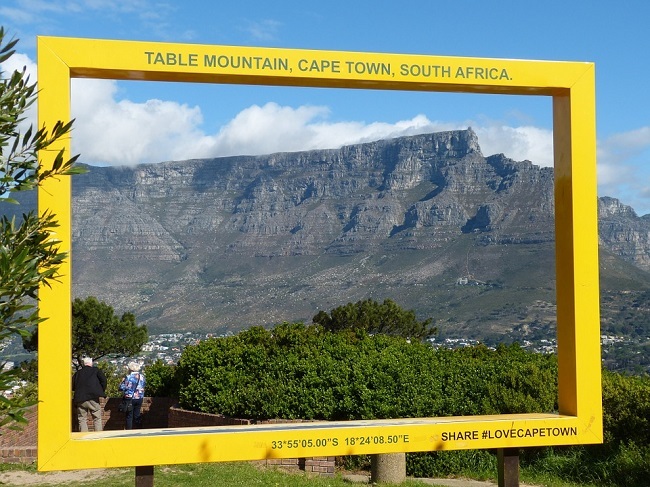 To find out more about our great tour for city sightseeing in Cape Town, point your mouse over here and check out the tour details!